LC: What went on Friday night then? 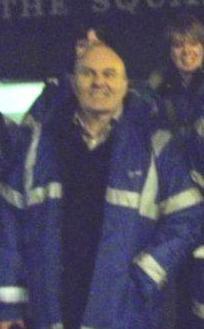 RC: I travelled up to Beeston in Notts and met with HOPE Nottingham. 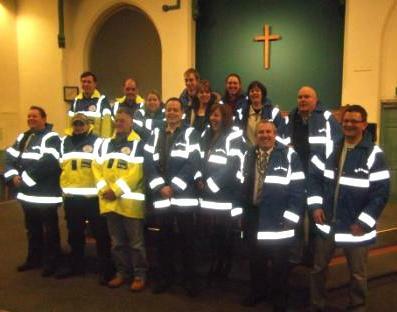 We had a brief commissioning service for the brand new Street Angels team and set out to be a presence on the streets in our fabulous blue and fluorescent jackets. We were joined on patrol by Paul Blakely, the founder of Street Angels and the Mayor and Mayoress of the Borough of Broxtowe. We felt it was important to stand with this new Beeston team as they embark on the venture and volunteer regularly at the weekends. 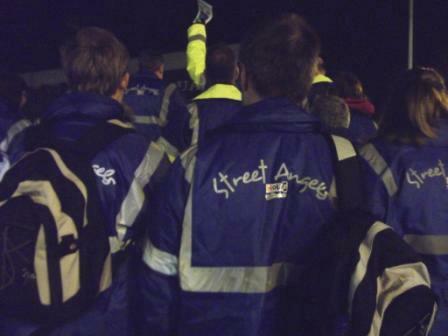 The purpose of the Street Angels patrol is to be part of helping build community and be there to look after people and make people feel safe as they are out at night. LC: What are Street Angels? RC: Street Angels are volunteers, initially people from local churches, who get involved in reducing problems on the streets of their town or city. 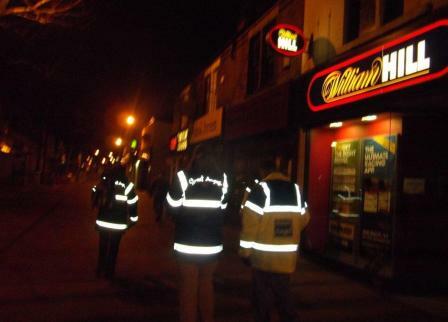 The project involves teams walking through town centres on Fridays and Saturday evenings from 9.00pm to the early hours of the morning. These projects are part of a larger network, of 70 different groups known as Christian Nightlife initiatives which reach out to clubbers and the vulnerable. Angels promote a friendly atmosphere and are on hand to assist people and keep safe those who have had one too many drinks, and to engage creatively with young people. LC: What was your impression of Beeston? RC: My first initial thought was that it was quieter than expected – I’m from East London after all. However, it seems that there is a misperception of Beeston that it is just like central Nottingham. 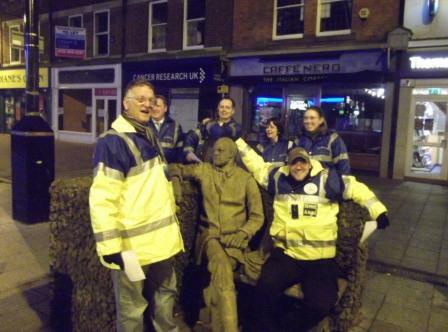 When I went on BBC Radio Nottingham the next morning, I positively encouraged people to give Beeston a chance as it is a nice place and it is even safer with the new Street Angels Team on the streets each weekend. LC: What was the response of the people you encountered? RC: We got a really warm response from the people we met. We had lots of chats with them and they were pleased to see us out. Various young people were intrigued at what we do and why, asking questions. They were impressed that the main reason we were there was to make things safer but they did have the cheek to ask us if we would buy them a drink. Recently there had been a sad incident where a local youth died and we met a group who were holding a vigil for their friend. This meant they were open to be more reflective than usual. LC: How would you sum up the experience? RC: It was such a brilliant experience and hopefully we encouraged the team as they started out. Being a Street Angel is all about bringing hope to communities and encouraging safer streets. It’s an amazing thing to be part of and all power to those who volunteer on a regular basis. The simple act of being present and being salt and light where people are makes a huge difference. It demonstrates that the Church is active in the community but also that God loves each person. This new project and partnership is exactly the kind we need all around the UK to bring HOPE to our nation.